This hands-on workshop will guide you through the development of your own ePortfolio using Mahara. Participants will build a framework for an ePortfolio and begin to populate it with information and artifacts. We will work through a process to help participants identify the audience and purpose for their ePortfolio, design the layout, and add a variety of content. 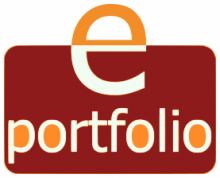 Participants will leave with an ePortfolio that they can continue to develop and refine. cá cược bóng đá hợp pháp Advance registration is required.